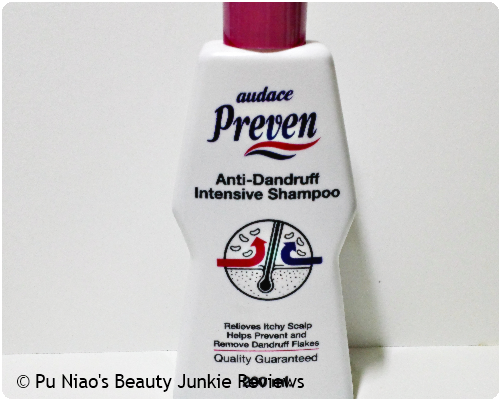 Audace Preven Anti-Dandruff Intensive Shampoo: It's intensive formula helps relieve itchy scalp and helps prevents\ and remove dandruff flakes. 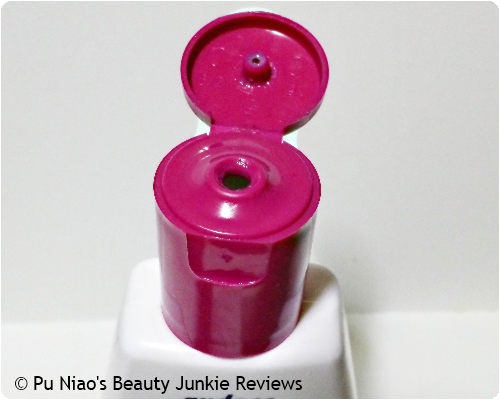 Comes in a flip-top lid type, making it easier to control the amount you pour/squeeze out for each use. The shampoo itself comes in a light blue shade, is just the right runny consistency without being overly watery. It actually suds up pretty well, although the smell is similar to floor cleaning solution and it can be really drying to the hair if used on a daily basis. VERDICT: Back when I was still in my early 20s, I was already suffering from light dandruff issues. It wasn't so bad, but then, I would love to curb it and have it gone from my scalp. And one fine afternoon, after close to 1 hour of browsing around Guardian Pharmacy, Watsons and Unity while comparing prices, I decided to go for my first bottle of Audace Preven Anti-Dandruff Intensive Shampoo. In the end, it doesn't matter as new products must be tried and tested to see if it works and if it will benefit one in the long run. So with that in mind, I happily bought my very first bottle home and immediately tried it out. As soon as I opened up the lid, the smell of floor cleaning solution hits me in the nose and at first thought, I might have bought a floor cleaning item by mistake. And after repeated inspecting and reading of the bottle all over, I was convinced I bought something meant for the hair, not for the floor. However, the smell did get to me somehow. I have to say, it is a really effective product. And mind you, it was my first time buying this brand and using it for the first time. So, it didn't really occur to me that I shouldn't use it on a daily basis. Maybe at most twice a week, but once a week is actually just fine. A month down the road, I realized that while the shampoo itself was really effective, it ended up making my hair dry and brittle. And I also noticed split ends on the ends of my hair. Not that I literally checked every single strand, but the handfuls I managed to grabbed for a look (my hair during my early 20s reached all the way down past my tailbone lol) and noticed that each individual strand has split ends. Not a single strand was spared from this new "discovery". I had no choice but to trim my long hair short to get rid of the split ends as it was literally frustrating to comb through split and tangled hair. It was only when after getting my split ends trimmed that I literally tried cutting down the usage from daily to once-a-week, while incorporating conditioner and hair masks into my hair washing regime that I noticed that my scalp is almost literally dandruff-free and without the split ends showing up. WHERE TO REDEEM SAMPLE: No sample to bring home and try. But for those of you who may have sensitive scalp, you might want to ask among your friends and acquaintances if they use this and ask if they can spare a little sample for you to try instead. 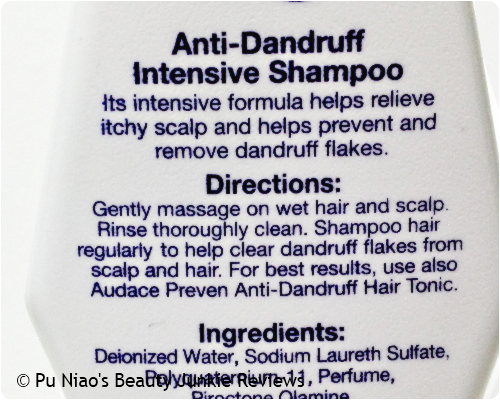 Audace Preven Anti-Dandruff Intensive Shampoo is a awesome and natural no chemical containts added.Thank you for your post.